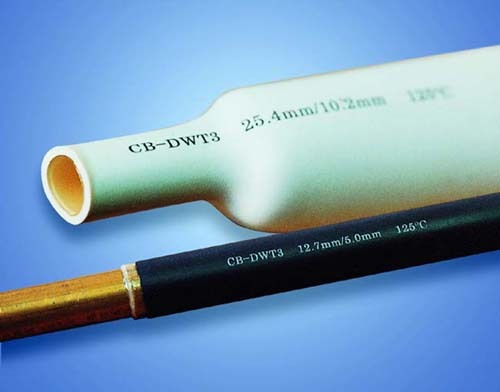 CB-DWT is adhesive –lined, flexible, halogen free and flame-retardant polyolefin heat-shrinkable dual wall tubing, This tubing has good mechanical strength which can be protect from fluids, moisture and corrosion, they are used in a wide variety of electrical applications, including back end connector sealing, breakouts, and connector-to-cable transitions. High expansion ratio makes it possible to repair most damaged cable jackets without removing connectors. The product is UL recognized and the file No is E180908.